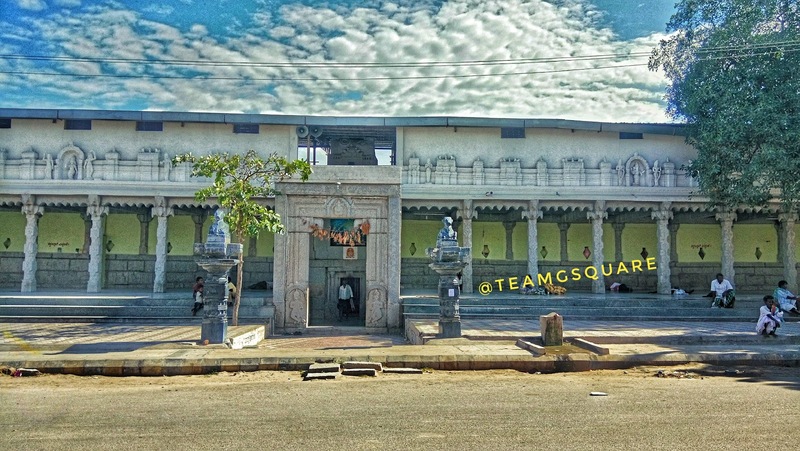 'Sri Dodda Basaveshwara Temple' of Kurugodu is the most revered of all temples here. 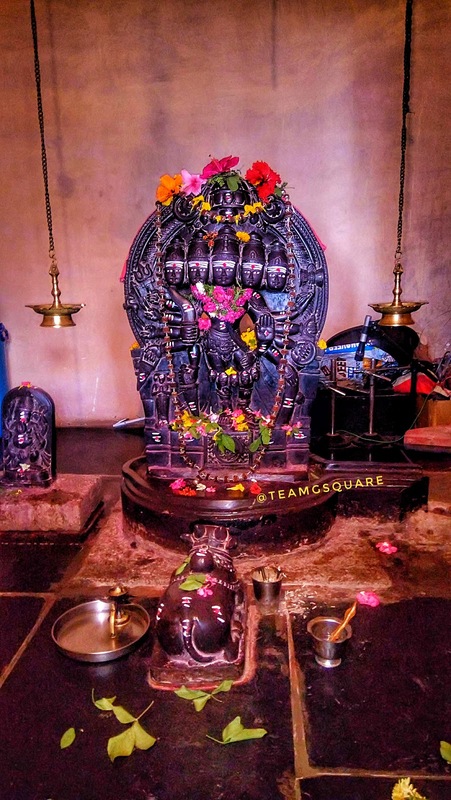 One of its kind murti of lord Panchamukhi Veerabhadraswami is found here and is considered to be the most unique. After visiting various temples of Hale Kurugodu, we reached the Dodda Basaveshwara temple around noon. After seeking blessings of the Lord, we were served with Anna Prasadam which happens here on a daily basis to all the devotees during the noon time. This temple is believed to have been constructed during the rule of the Vijayanagara kings. The temple complex is quite big, with a recently constructed Shikara and is dedicated to Lord Nandi or Basavanna, the vahana of Lord Shiva. 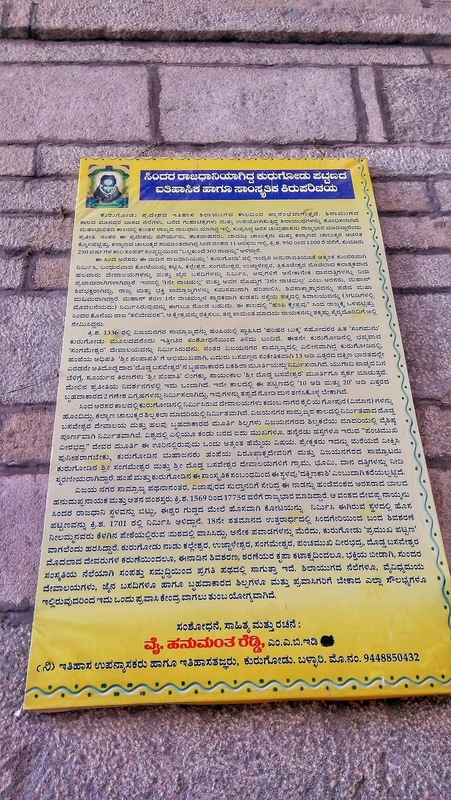 The murti of Lord Basavanna is about 12 ft tall.The recent findings have revealed that the 'Bhavana Sangama', father of Harihara and Bukka (founders of the great Vijayanagara empire) belonged to Kurugodu. Hereon, we visited the Panchamukhi Veerabhadraswami temple which is located in the by-lanes of Kurugodu town. This temple is completely renovated into a new structure. We visited the Sahasralinga complex besides the Veerabhadraswami temple. Though the main temple remained closed, we were able to have the darshana of the Lord, thanks to the grilled door . The Lord looked divine with five faces and 12 hands, with Daksha Mahaprabhu standing besides him. It is rather an unusual depiction of the Lord Veerabhadraswami. There is a small murti of Lord Ganesha in the same garbhagriha. 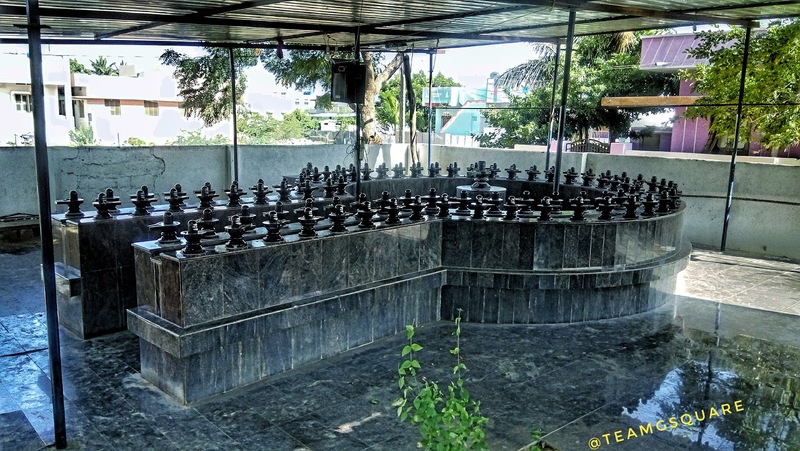 This temple is hardly known to many outside the town of Kurugodu. How to Reach Kurugodu: Kurugodu is about 30 km from Ballari/Bellary. Take NH150A which connects Siriguppa to Bellary and then take a right turn at Dammur cross to reach Kurugodu. Accommodation: There are not many options available for accommodation in Kurugodu. However, the best would be to find a stay in Bellary overnight. Our usual place of halt is Hotel Ashoka Residency with an affordable budget. 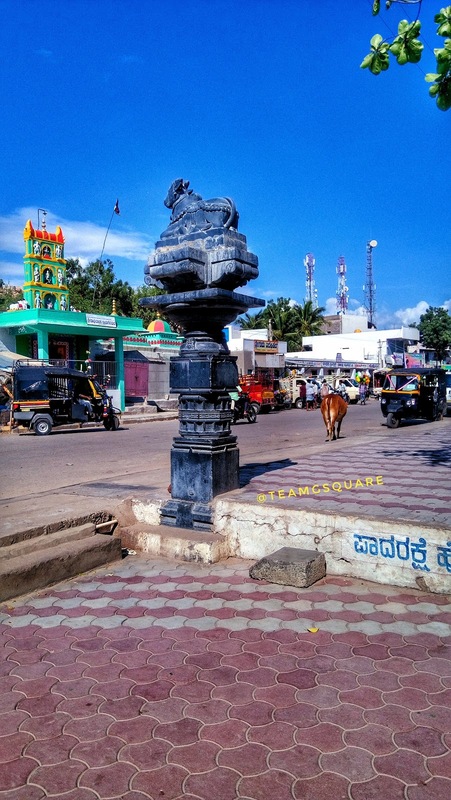 Places to Visit Around Kurugodu: Sandur, Kudatini, Sanganakallu, Bellary, Hampi, Nittur, Sirigeri, Siriguppa, Kenchanagudda, Kampli, Hirebenakal, Gudekote and many such. Loved the idol in the sanctum.